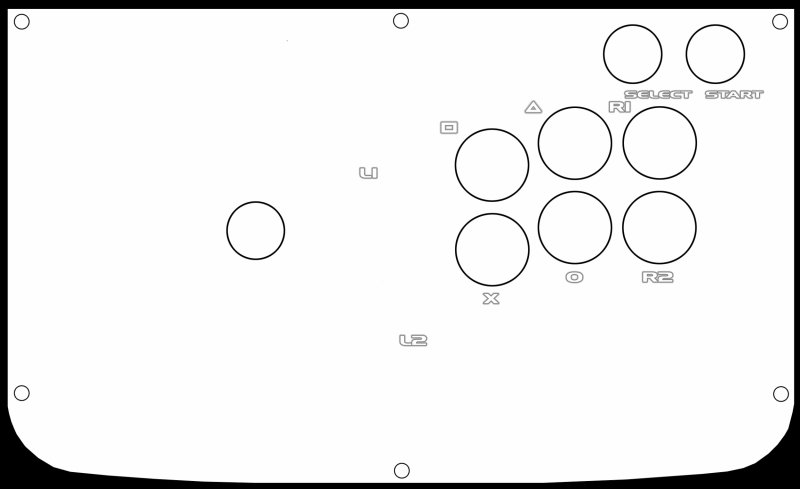 This is a Tekken 5 stick template for a 6 button layout. I uploaded this template as a PNG so it will be easy to customize for your own purposes. I've been looking for this for a while now. Is this the American T5 or Japanese T5 layout? They are both Japanese arcade layouts but one is the 1P side and the other is the 2P side layout. This is awesome. I scored a cheap Tekken 5 Collector's Edition for $30 a while ago because I wanted to try a stick. Now that I'm hooked I want to replace that godawful art on it with something less gaudy. I know it was some time ago, but thanks for uploading.